Are partners with 1 to 5 others? Are members of a small corporation with less than 10 principals? Business overhead is there to protect the business in the event the owner, partner, or working shareholder becomes disabled. 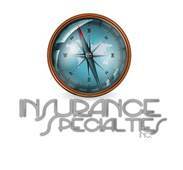 As agents and brokers, it is our responsibility to make certain we provide our business clients with Business Overhead Expense Insurance. BOE will pay the expenses of the business in the event of a disability and is a 100% tax deductible expense to the business! For a few pennies on the dollar, your business client can protect all that he/she has built. In the event he/she is unable to return to work, the business can be sold as a going concern. Many of you know I am a licensed insurance agent … I make no bones about my chosen profession and take pride in providing protection to individuals, businesses, and families. I belong to several industry associations that serve the needs of agents and help keep us updated on pending legislation and its ramifications. As a member of the National Association of Health Underwriters, representing over 100,000 employee benefit and individual health insurance professions, I am writing to address one easily fixed aspect of the Affordable Care Act — knowing who is actually eligible for employer sponsored health insurance. The law requires employers with fifty or more “full-time equivalents” to allow their “full-time” employees (those working 30 or more hours per week on average) to enroll in the company’s health insurance plan. The issue is, many business owners are finding it nearly impossible to know who those people are because they don’t have the time to figure that out, or money to buy software or services that would identify those folks. The fact is, that every other set of federal laws considers Full-Time to mean 40 hours per week. Thus, they are left frustrated and confused by the process and the requirements of documenting why an employee was included or excluded from coverage. In addition, by having this lower number of hours equal full-time, many employees (who already consider themselves part-time) cannot obtain subsidized coverage through the Health Insurance Marketplace. The United States House of Representatives has already passed a bill (HR 30 – Save American Workers Act of 2015) and similar bipartisan legislation is being considered in the Senate (S. 30). As someone who works with employers of all sizes, I know that if this legislation is passed and signed by the President, it will make the burdens of implementing the Affordable Care Act a little more bearable. Please encourage Senators Burr and Tillis to pass this legislation. In addition, do not forget to write or call the President to ask for his help getting this law passed!